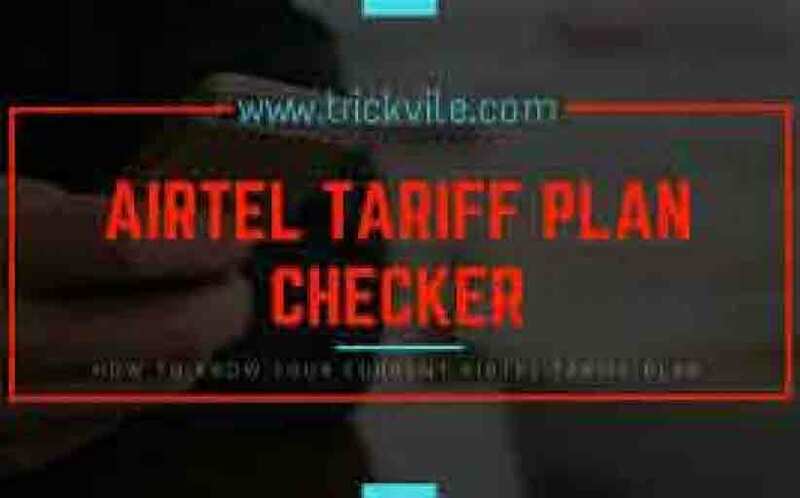 Are you in Nigeria and you have been looking for how to check airtel tariff plan you are using ? Don’t worry this post will show you the USSD code which will help you check your current tariff plan on airtel. As we are looking for means to migrate to the best Airtel call tariff plan, we kept jumping from one plan to another. the truth is that we have so many airtel tariff plan which is worth testing to know the one that suits your demand. But again, there are times when you really want to know your current or active Airtel call tariff plan? And you just don’t know how to go about it. I’m going to make this post short, precise and clear. This post contains USSD code used to check Airtel tariff plan. Dial *121*3*5# or Dial *121# » select 3 (manage my account) » choose 5 (my tariff plan) to check current call plan on Airtel.